Clams en directe @ 2on. Festival Ràdio Trinijove. This entry was posted on dimecres, 7 de/d' Juny de 2017 at 11:26	and posted in Notícies. You can follow any responses to this entry through the RSS 2.0 feed. « Clams a La II Festa de la Música. 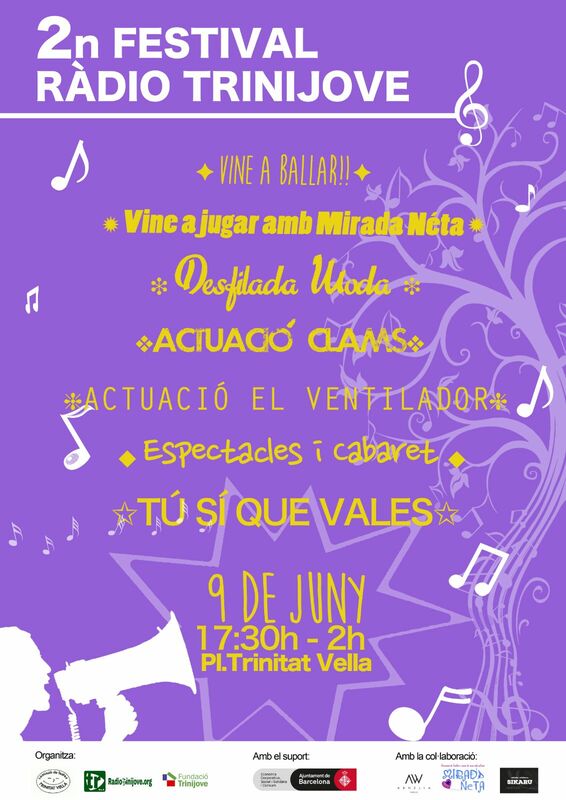 Dimarts 28 Març @ Sta. Mònica BCN.